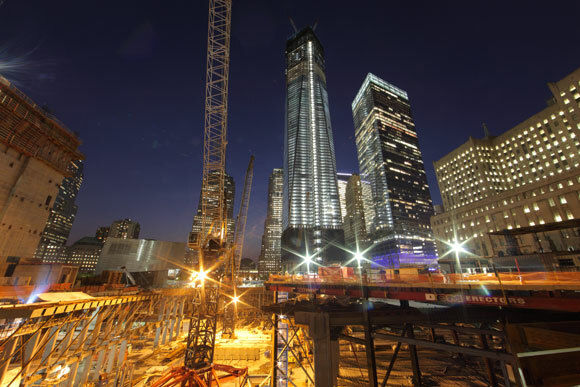 As construction began on Ground Zero, with new towers being raised in a symbolic rebirth from 9/11, artist and filmmaker Marcus Robinson documented the entire process. Stunning time-lapse photography, paintings, drawings and, most affectingly, interviews with the men and women working on the site capture both the physical enormity of the six-year task and the emotional impact the undertaking has on the workers, and, by extension, New York as a whole. Screening with Trish Dalton’s Bordering on Treason. A photojournalist travels back and forth to Iraq for a decade to put a face on the War on Terror.